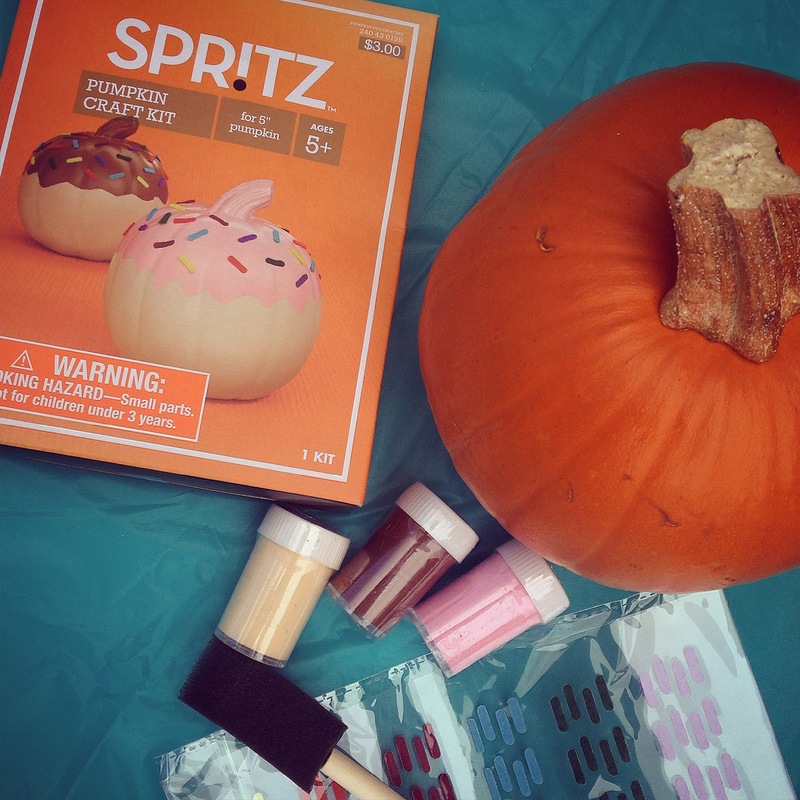 This year Paisley picked out these adorable donut-painting kits for us to use (thank you Target). 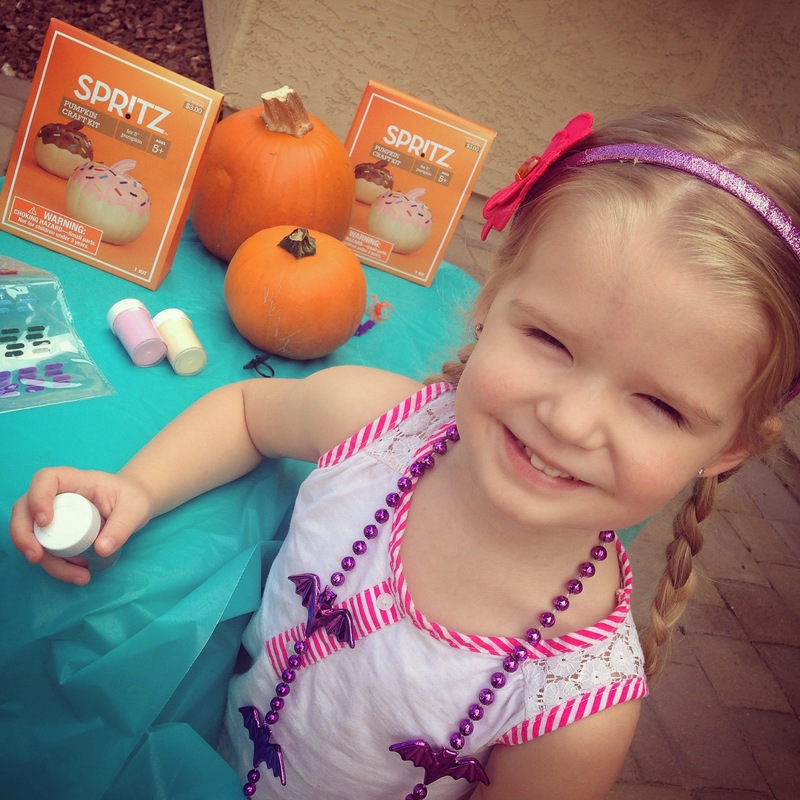 They were inexpensive, easy to follow and provided all of the items needed, minus the plastic table cloth and pumpkins. 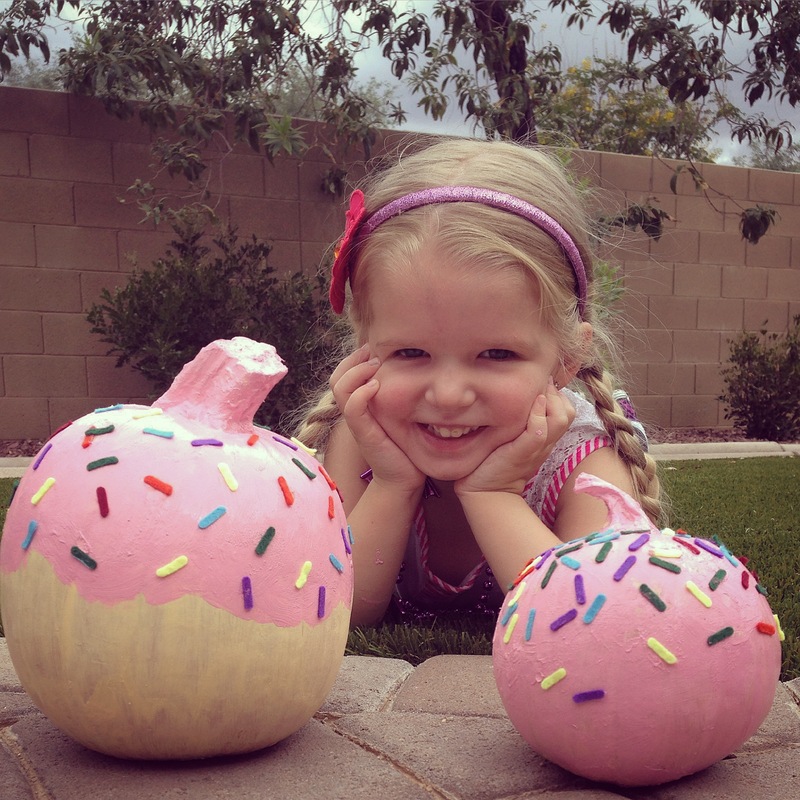 Since Paisley and I are donut lovers, we had a blast turning our bright orange pumpkins into pink frosted & sprinkled donuts! 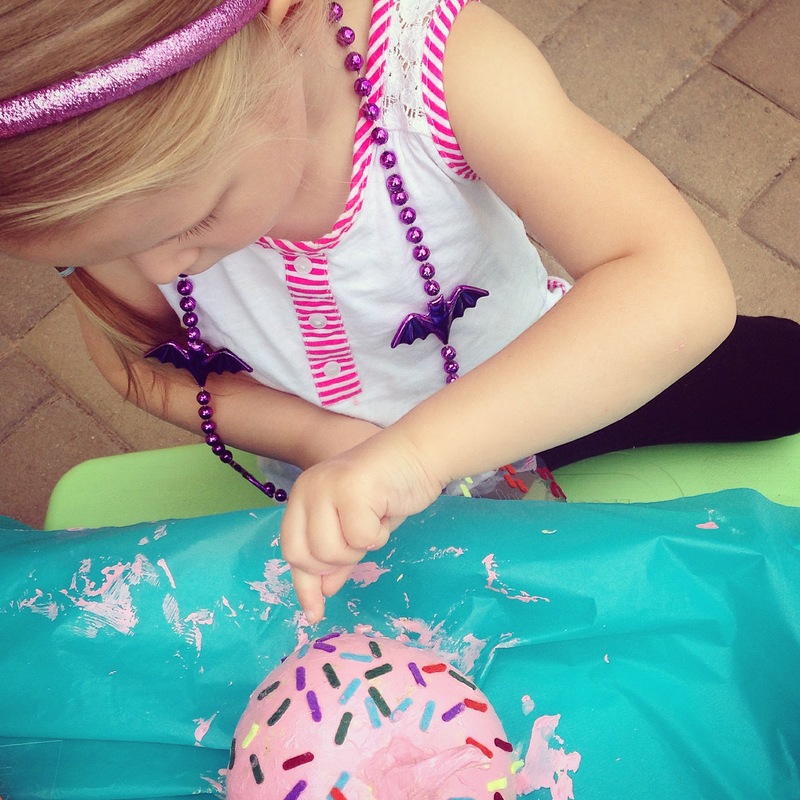 You will notice, Paisley painted her entire pumpkin with frosting because she said she wished all donuts were completely covered in frosting… Smart girl, I couldn’t agree more! 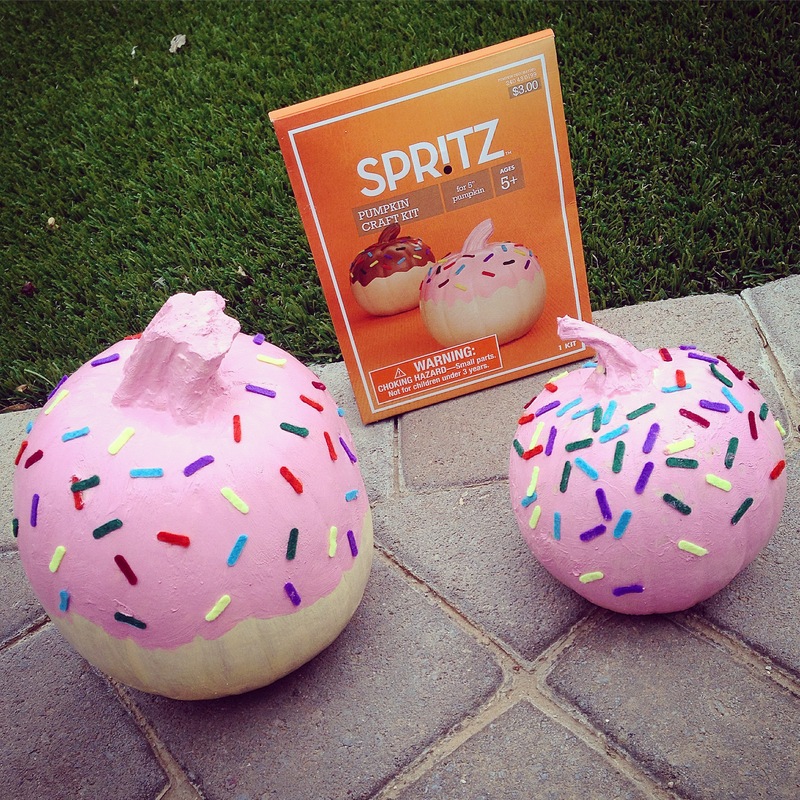 One very happy … DONUT-LOVING … pumpkin painter. 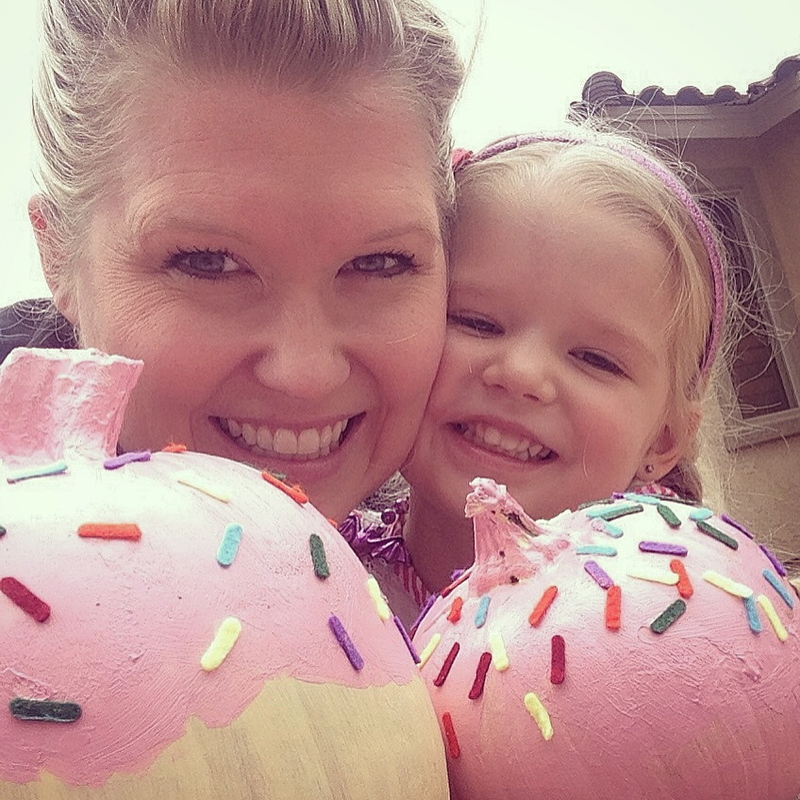 I absolutely recommend painting pumpkins with your kiddos. 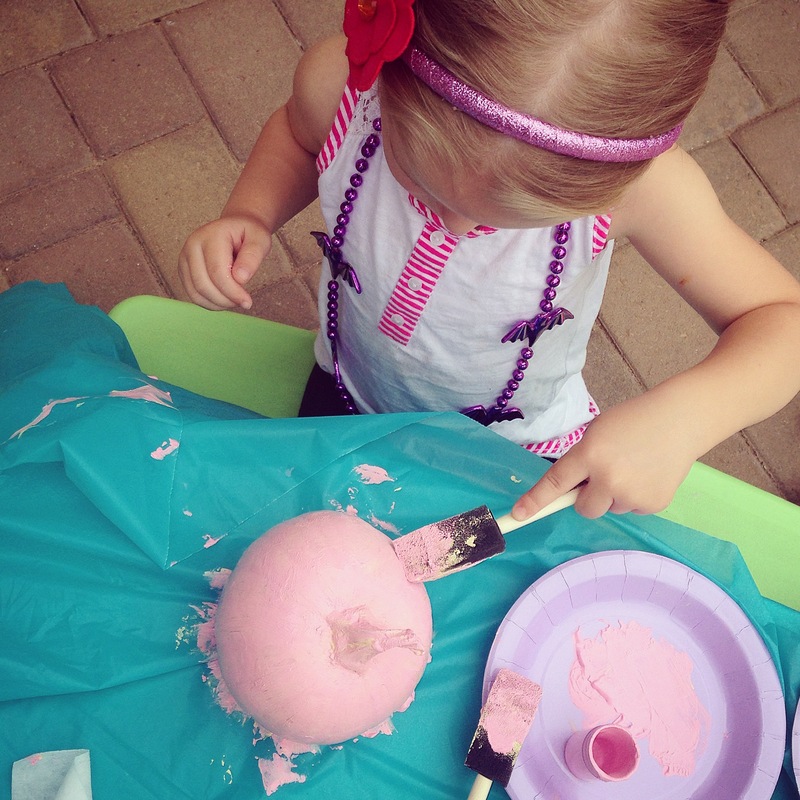 It is safer than carving, and allows them to be creative. 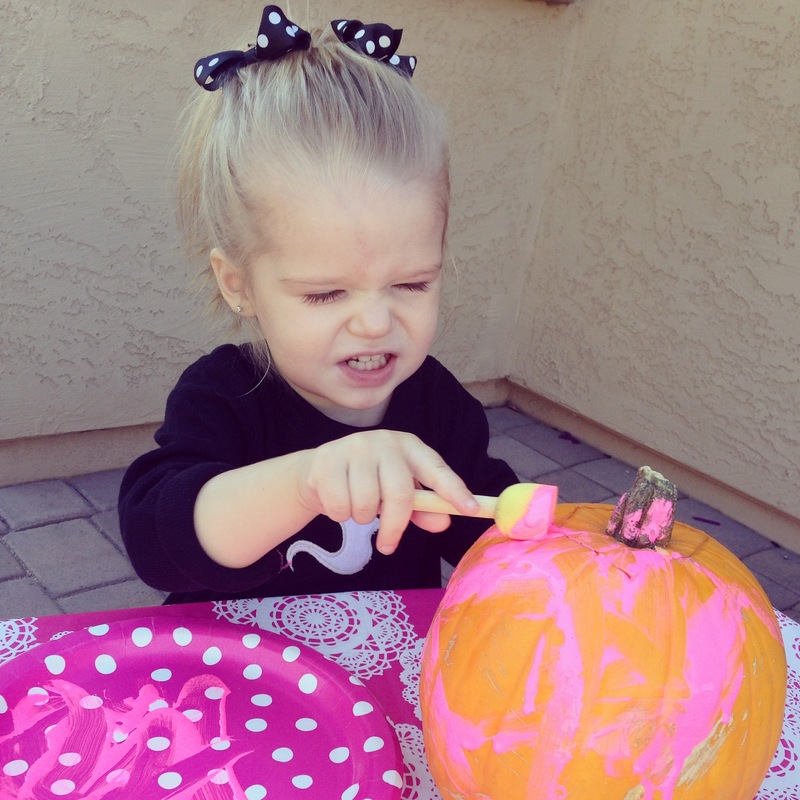 Paisley enjoyed it so much, and she is already looking forward to painting pumpkins again next year! Aw, so fun! They turned out cute! 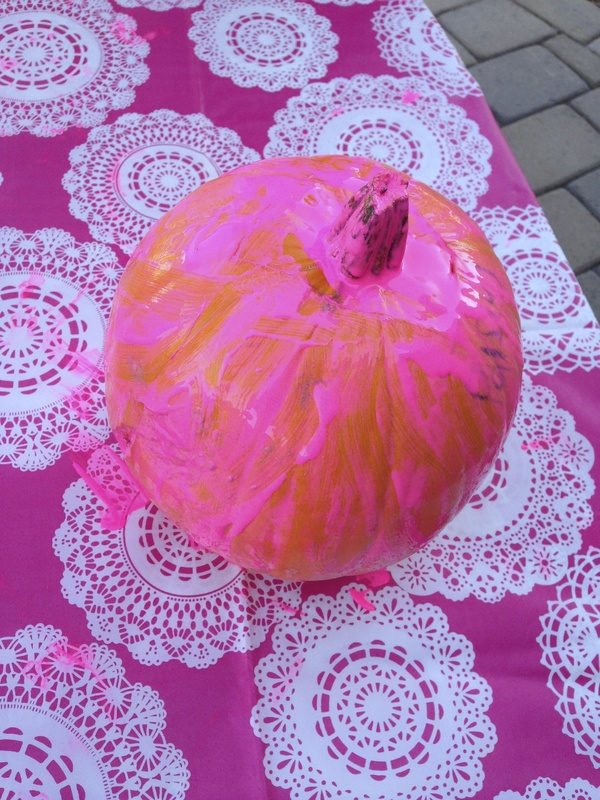 Hunter LOVED painting his pumpkin this year too. I’m much more a fan of painting over carving as well. 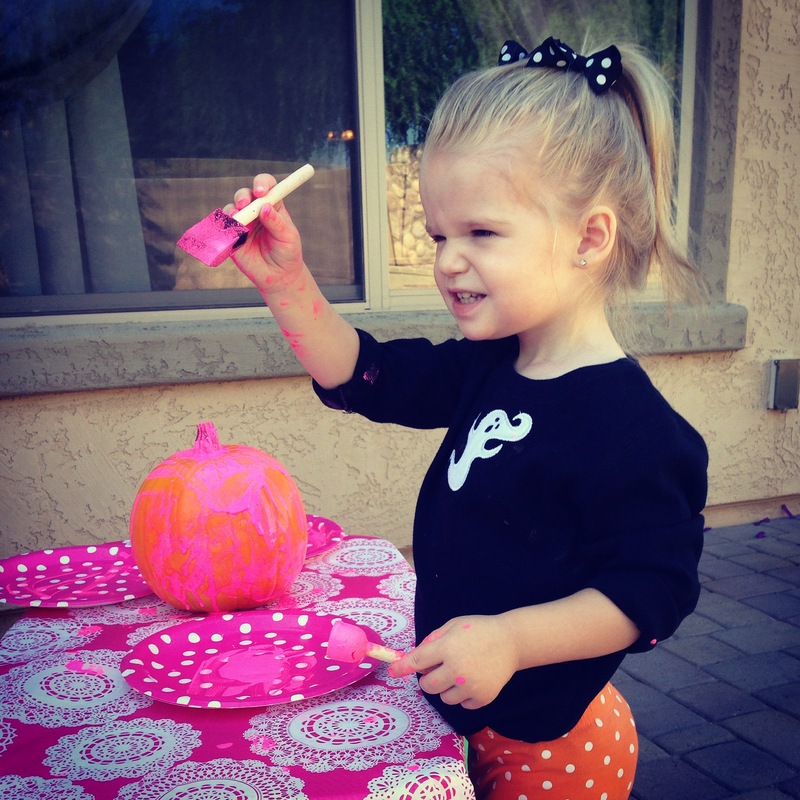 😉 Paisley looks so little in the photos from last year – adorable!